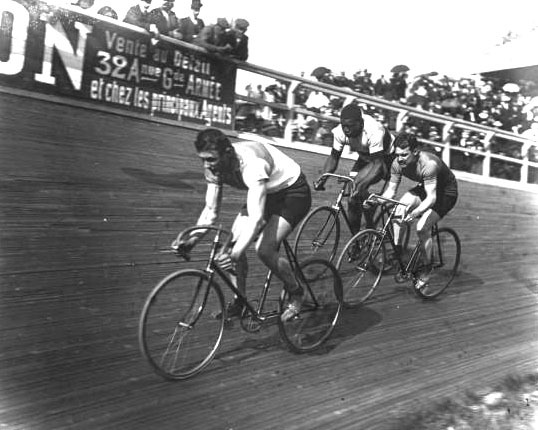 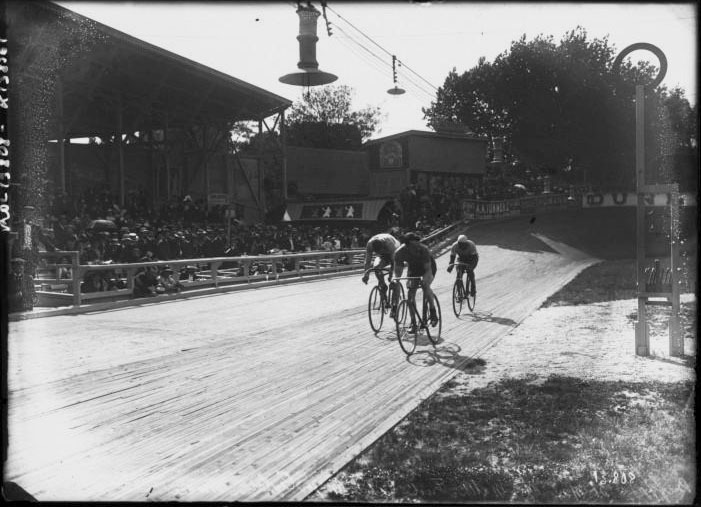 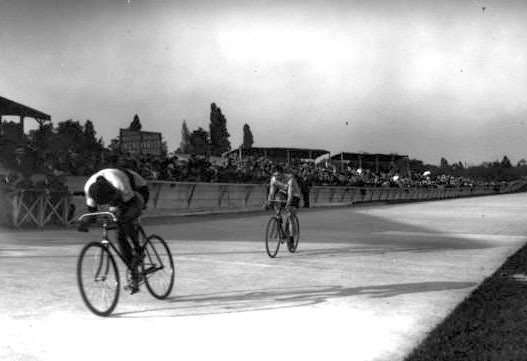 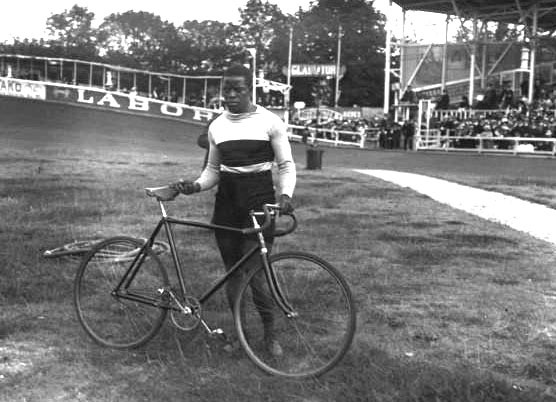 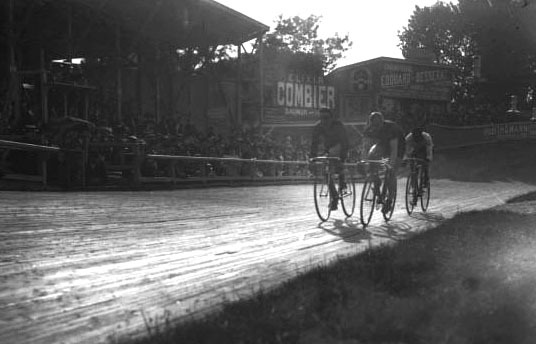 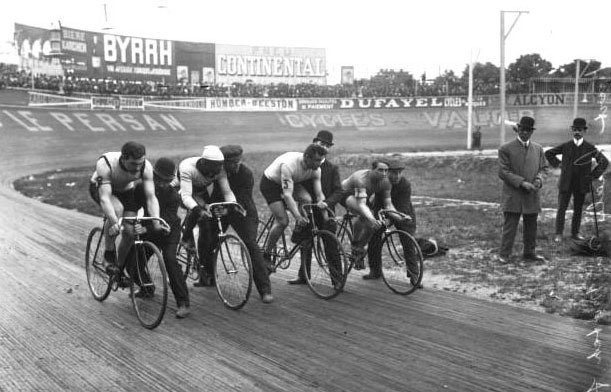 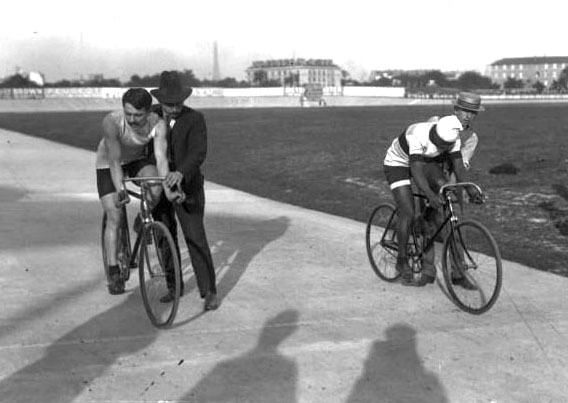 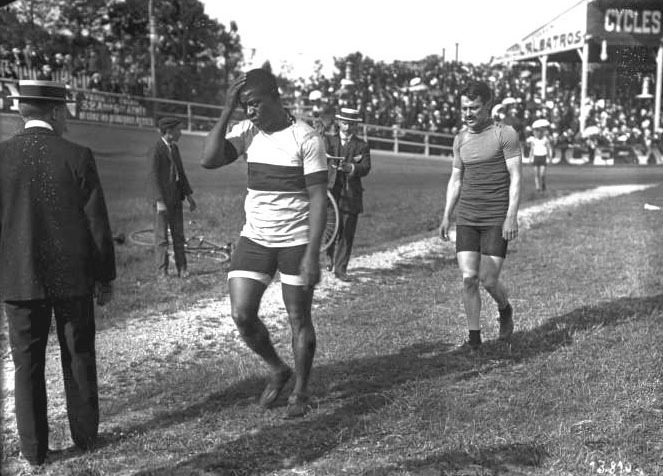 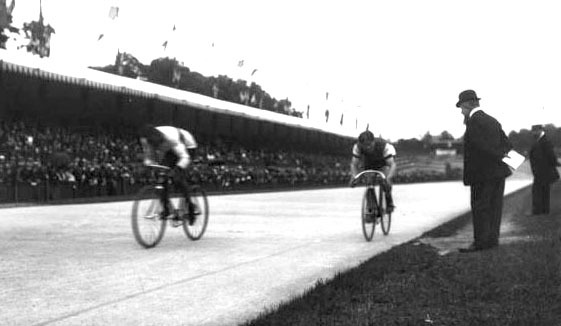 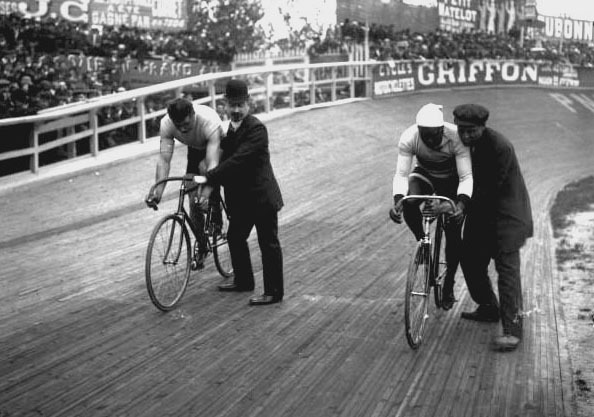 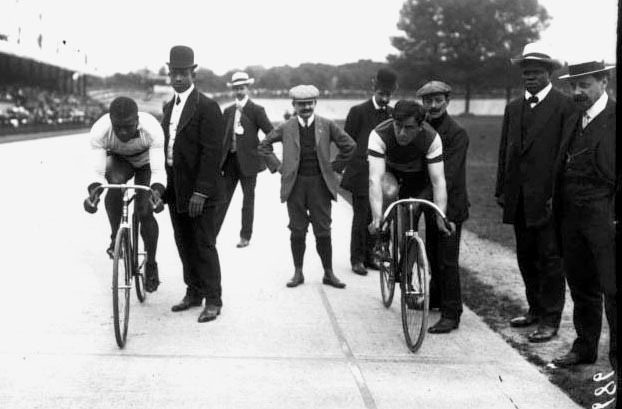 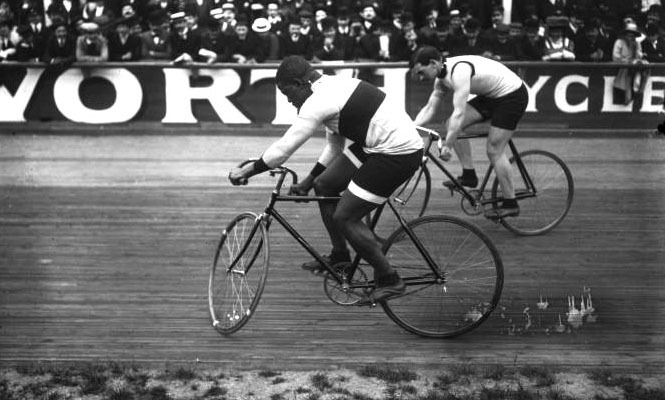 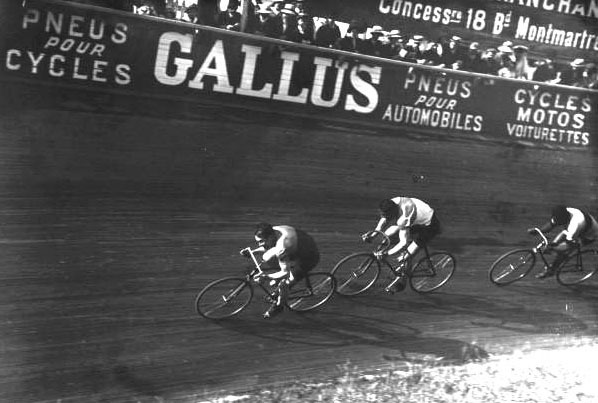 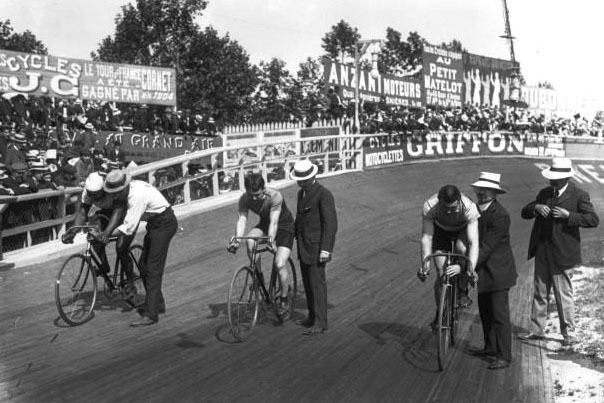 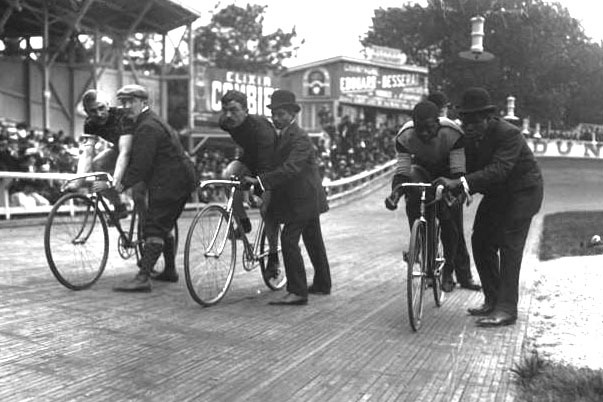 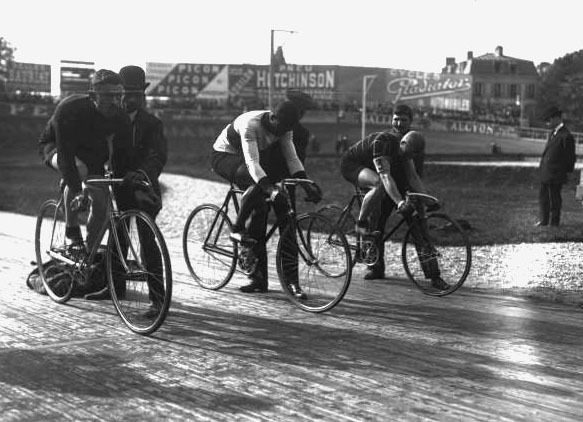 These photos of Major Taylor were taken in the later part of his racing career, in 1908 or 1909. 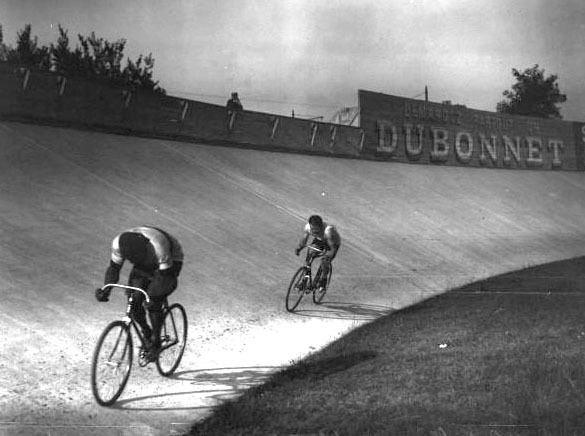 I don’t know the photographer, but it might be Jules Beau. 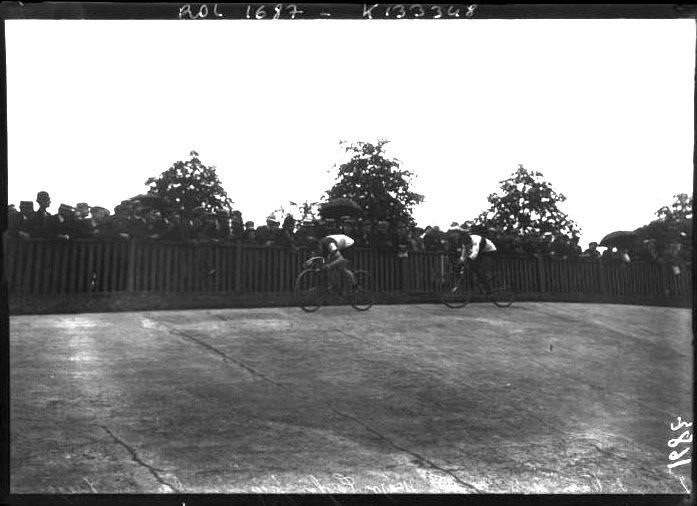 The glass plate slides are marked as having belonged to the Rol Agency, however, which may mean that Rol was the photographer.